Did you know that January 8th, 2012, was designated as the first National Choir Appreciation Sunday? This was news to us, but we think it’s great! Our Adult Choir members at every church where Travis has served have always been incredibly faithful and committed to the ministry of choral praise and to their leadership role in worship. They’ve been people with servant’s hearts, always involved in a multitude of ministries within the church body in addition to their music ministry involvement. The people that we have known, loved, and worked with as a part of ALL of the music ministry groups (choirs, orchestras, rhythm sections, tech teams, handbell groups, drama and movement teams, set design & construction helpers, costuming helpers, banner ministry) have never sought accolades or recognition. They are just people who love the Lord and want to give him glory by sharing their gifts of singing and/or playing or technical expertise. 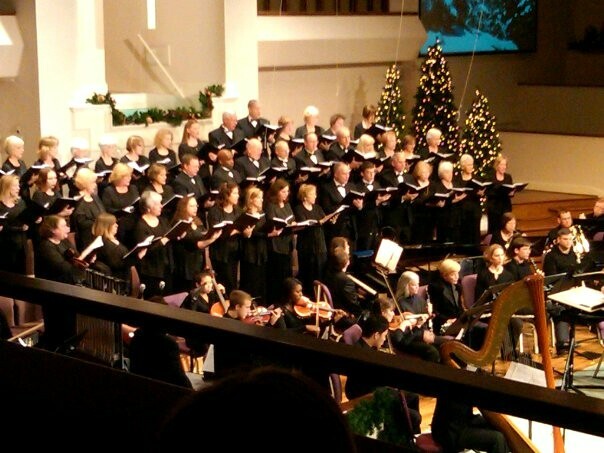 Our wonderful Adult Choir and Orchestra at First Baptist Church of Duluth, Georgia, love to share their gifts through praise. Here, they are shown sharing Joseph M. Martin’s beautiful Christmas musical, “Winter’s Grace,” in 2010. It takes more than a talent to participate faithfully in these ministries! It takes someone who not only has the ability but also has the love or passion for this area of ministry and is willing to guard their availability in order to be a faithful participant. These wonderful folks add so much life and spirit to all that they do, in addition to their excellence in prepartion for sharing their gifts. Whether your church has a special recognitions Sunday set aside or not, it’s ALWAYS good to let these people know how much you appreciate them! So, share a little love with the people who bless your life this week! Then, let your music/tech/drama/decorating committee & special production support (costumes, sets, publicity) people know that you appreciate their efforts when you attend the Christmas production and special programs this year. Tell your child’s Sunday School or Choir or Missions teacher (as well as your own!) how much you appreciate them. Spread the love! Tell folks you’re glad to see them! Let’s appreciate the gift of salvation in Christ every moment of every day and appreciate the people who are committed to making our church the best that it can be every time we have the opportunity! A special day is great, but appreciating these fine people one day of the year would be like only complimenting and saying ‘I love you’ to your spouse once a year…say, on Valentines Day. Not a good idea, right? You can help to continually encourage and build up the body of Christ, spurring one another on to good works! First Baptist Church Duluth Adult Choir, Youth (SWAT) Choir & teams, Golden Notes, Handbell ringers, Orchestra, Praise Teams, Tech Team, Rhythm Section, group accompanists, Drama Team, Decorating Committee, and all who will help with production tasks, WE APPRECIATE YOU! We think you are the best and love you all! Each of you contributes so much! You are valued, loved, appreciated, & treasured! As you use your God-given gifts, you are a BLESSING! 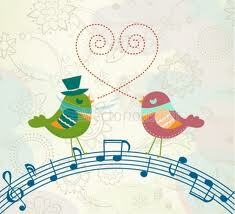 Blessings and melody, love and joy to you all! 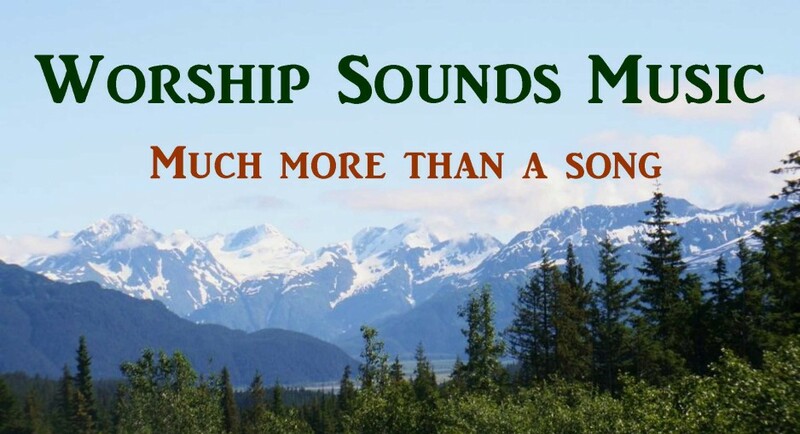 Click photo above to go directly to our WorshipSounds Music website. The Singing Churchmen of Oklahoma, The Singing Churchwomen of Oklahoma, The Oklahoma Baptist Symphony, The Sons of Jubal, The Jubalheirs, The Farrells, Debra Eden, The Pasadena Tabernacle Songsters, InOvation, and The Choral Guild of Atlanta.